John Szeluga Comedy: Brewery Show Tonight! 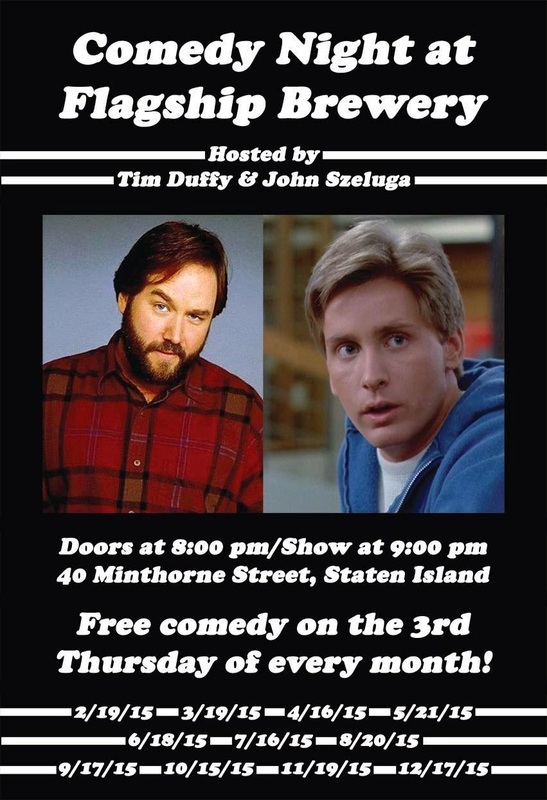 Free show hosted by Tim Duffy and John Szeluga! Featuring Matt Ruby, Jake Head, Joon Chung, John Kurschner, and Peggy O'Leary! Join us at Flagship Brewery for some of NYC's best stand-up comedians, great beer and plenty of free parking close to the ferry and the train. Doors open at 8:00 PM. Show starts at 9:00 PM.